Who's winning and who's lagging behind? 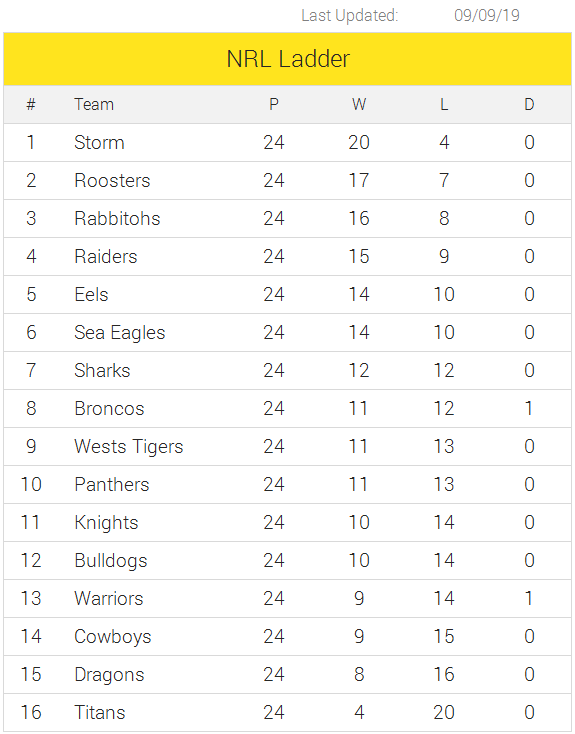 View current standings in the Super Rugby and NRL premiership seasons. Submit your tips today. 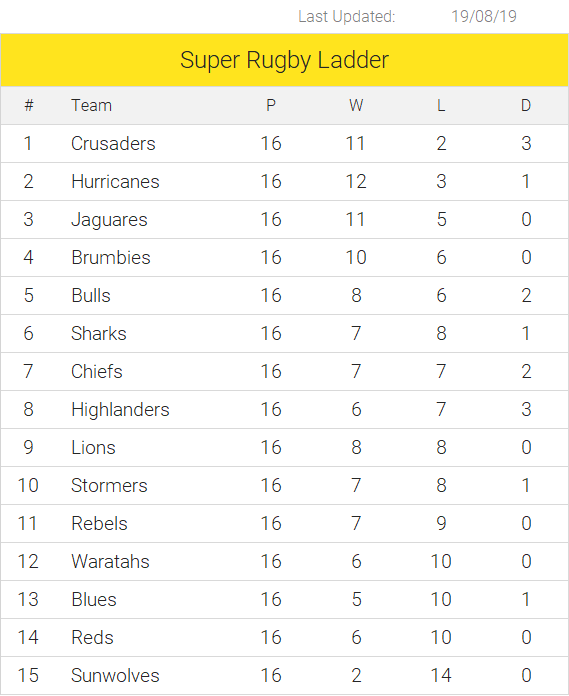 Updated weekly, be sure to check the Super Rugby and NRL premiership ladders each round to make an informed tipping selection. Who's winning the tipping competition? View the competition ladder. Don't miss your chance to win big. Submit your tips before the weekly deadline.